The folks over at Mezón Tapas bar & Restaurant are serious about sharing their love. Love of food, drink and Latin culture. We crafted this tidy little vector graphic to perfectly tell the story about their new Birthday offering. 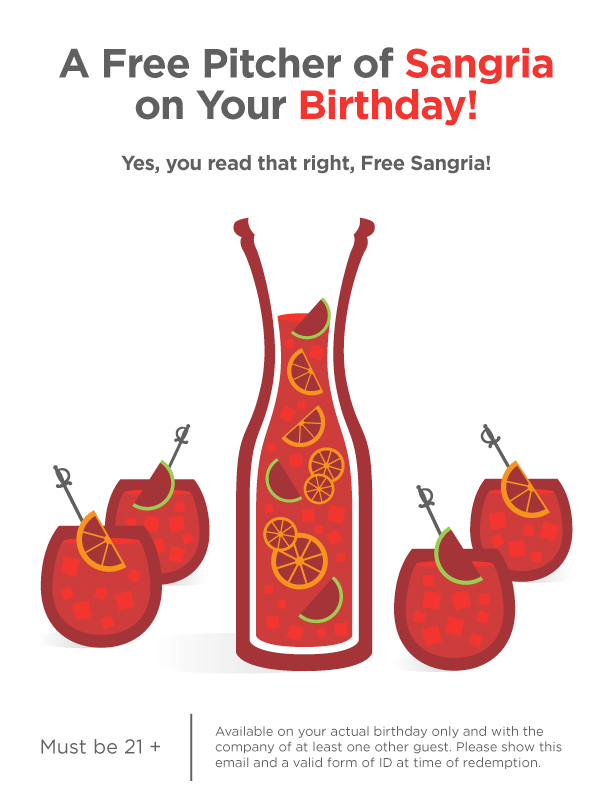 Their guests may enjoy a free pitcher of their famous house Sangria on their Birthday. Just bring an ID and a friend to help you finish it—they won’t serve you if you’re there by yourself. Make sure it’s a stop on your big night out. There are dozens of Tapas (small plate offerings) that pair beautifully with the fruity, delicious beverage.